Many American Christians were shocked on Friday morning as they turned on their radios. 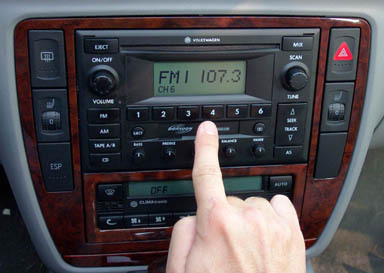 The popular radio station known as "K-Love" had suddenly switched from their familiar format of contemporary Christian music (CCM) and praise and worship music to a cappella unaccompanied psalms, with recordings taken from various congregations of the Free Church of Scotland. "I was expecting Chris Tomlin when I loaded up the kids for school this morning." Said Kathy Valen, mother of four. "Instead I got a jarring rendition of Psalm 109:10, 'Let his children be continually vagabonds, and beg: let them seek their bread also out of their desolate places.' My kids were just a little freaked out, and I'll admit, I was too." All around the country on the various repeater stations people were baffled, checking their radios, switching stations and visiting the K-Love website to make sure everything was okay. 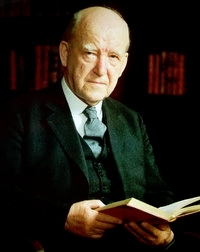 The station was flooded with calls all day long, especially when the daily "Encouraging Word" was replaced with sermons of the late Dr. Martyn Lloyd-Jones. TBNN tried to reach someone at the station for comment. One DJ who asked to remain anonymous stated only that, "The change is likely to be permanent" and that "We will be shutting down every Sunday in observance of the Sabbath." Psalms of the OT only? Members of the Church of Christ are undoubtedly confused by that. Love it. I'm sure Dr. Trueman would be very pleased indeed.